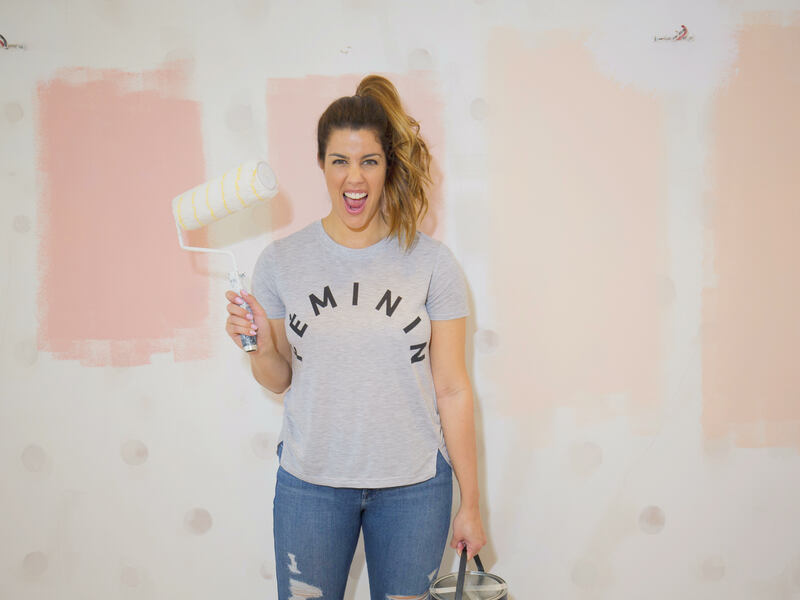 It only takes a few clicks around the blog to see that I am a white wall kind of girl. I find myself really drawn to the clean nature of stark walls and usually I tend to work with more vivid artwork as a way to bring in color. Recently though I have been feeling very inspired by color and pattern. 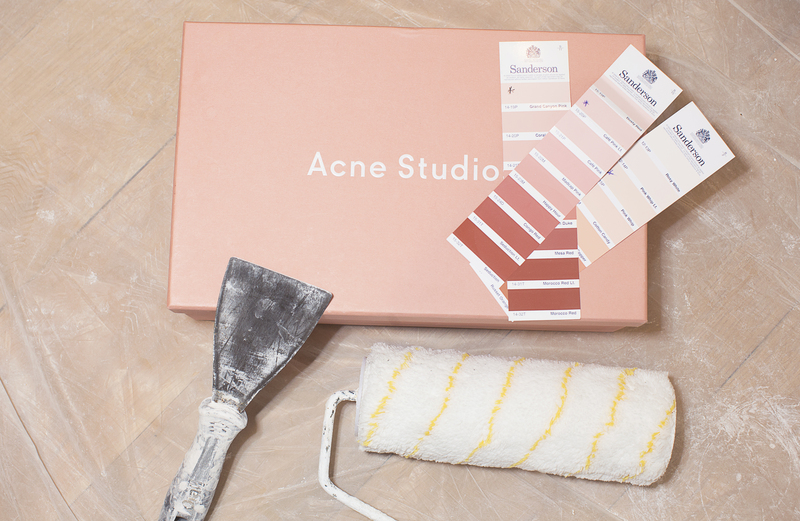 I decided it was time to go for it and add a little pop of pink to my home…as after all, it’s only PAINT and also because another recent obsession of mine is the color pink. I have been seeing it everywhere from my favorite restaurant interiors, fashion trends, travel, around my neighborhood and just general design inspiration (see some of my posts on it here or here). 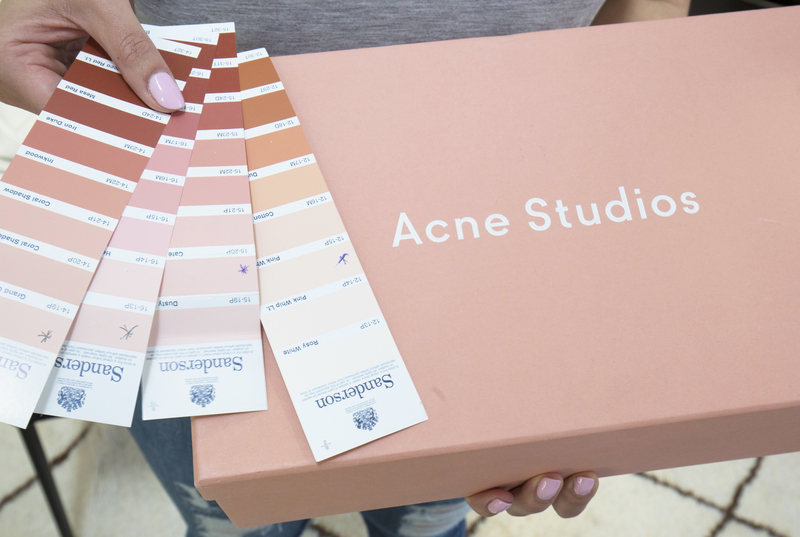 Perhaps my favorite “pink” inspiration has to be the color used for the branding of Acne Studios (a Swedish based fashion brand that is one of my all time favourite go to stores in London). The brand’s color feels sophisticated and cool to me (words not typically associated with pink). I have decided to base my dining room off of this color and I wanted to share this today as a reminder to look for your own design inspo in places other than interior magazines. Look at your travel, favorite fashion brands, restaurants, architecture or just anything really that you find yourself drawn to. This will keep your taste feeling fresh and also individual to who you are. 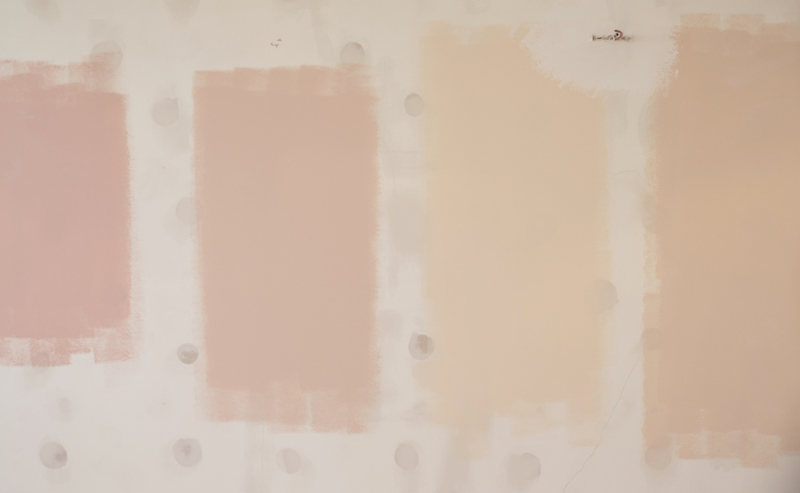 Here are some of my progress pics for my pink wall and the steps I took to choose the paint that I thought most closely represented the color. Here is a shoe box from Acne Studios which shows their pink branding that I love. I highlighted the Sanderson colors I liked best to match up against the box. I chose my favorite four paint colors and sampled them on the wall. Which do you like best? (This is SO important to do when you are deciding on a paint color. 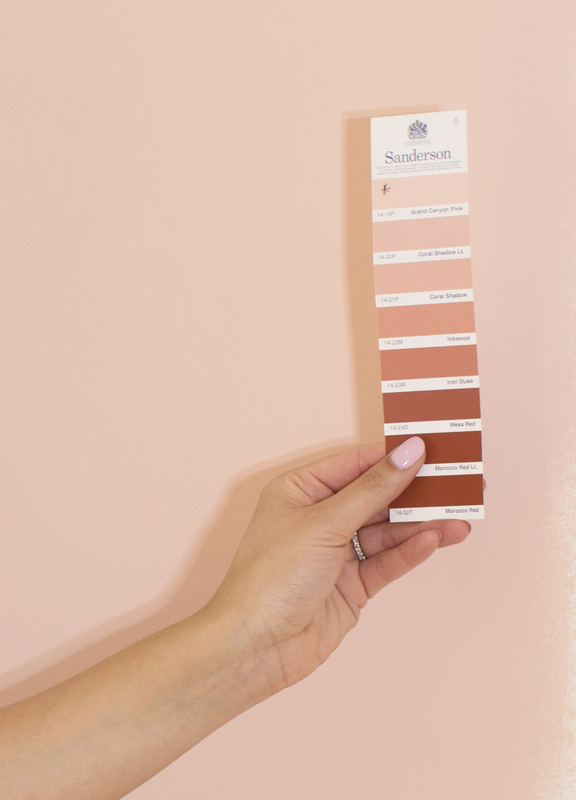 Many times your mind will change once the color is actually up on the wall and dry, so best to sample it first) I decided to go with Sanderson’s “Grand Canyon Pink” (this was the second from the left), as I thought it represented the look I was going for the best. With the color chosen, the painting begins… Stay tuned for the before and after pics up in a few days!